Research from the University of Southampton and the National Oceanography Centre, Southampton has found that an imbalance of nutrients in reef waters can increase the bleaching susceptibility of reef corals. Without the algae, corals appear white, a state which is often referred to as ‘bleached’. Bleaching often leads to coral death and mass coral bleaching has had already devastating effects on coral reef ecosystems. Researchers from the University of Southampton based at the Coral Reef Laboratory in the National Oceanography Centre, Southampton, found that an increased supply of dissolved nitrogen compounds in combination with a restricted availability of phosphate results in phosphate starvation of the algae. 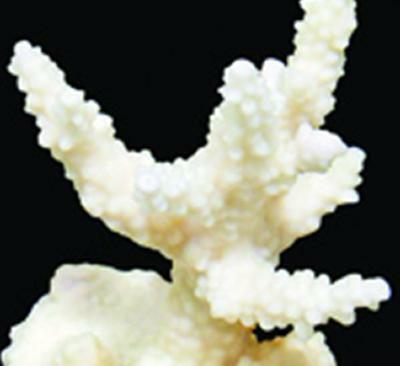 This condition is associated with a reduction in photosynthetic efficiency and increases the susceptibility of corals to temperature and light-induced bleaching. Dr Wiedenmann adds: “Our results have strong implications for coastal management. The findings suggest that a balanced reduction of the nutrient input in coastal waters could help to mitigate the effects of increasing seawater temperatures on coral reefs. However, such measures will be effective only for a short period of time, so it is important to stop the warming of the oceans, which will otherwise destroy most of the reefs in their present form in the near future.